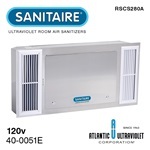 Utilize SANITAIRE® Room Air Sanitizers to protect occupants including, but not limited to, personnel, clients and patients from infection due to airborne microbes, particularly in crowded or poorly ventilated areas, and in situations where the risk of cross infection is high. 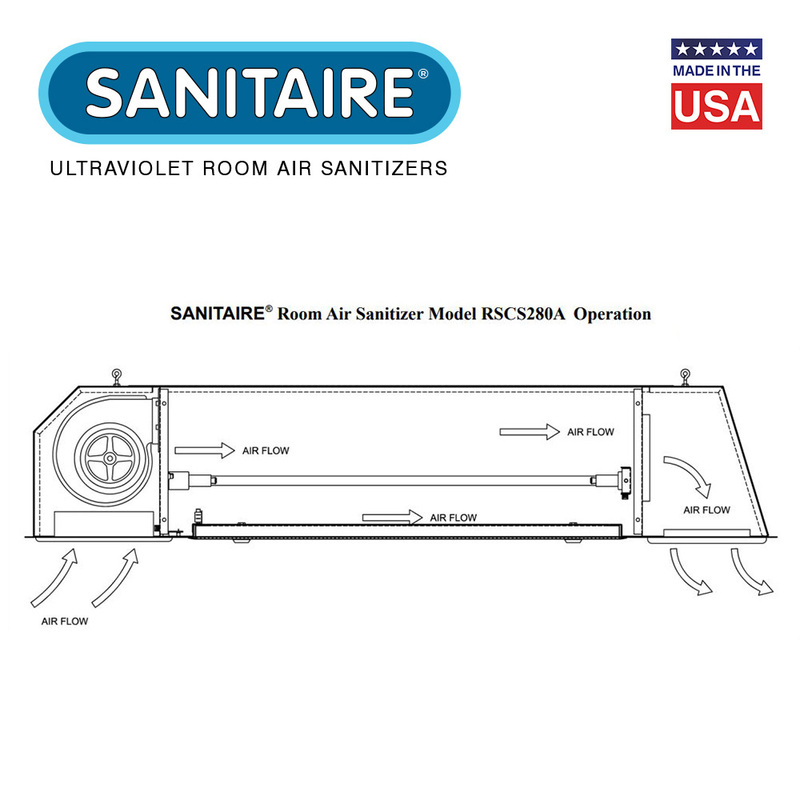 SANITAIRE® Room Air Sanitizers are germicidal ultraviolet fixtures that effectively destroy airborne microbes including bacteria, mold and virus in enclosed occupied spaces and are available in a number of different configurations to adapt to any setting. 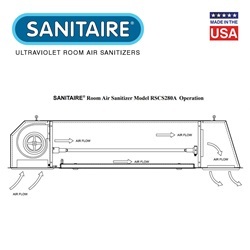 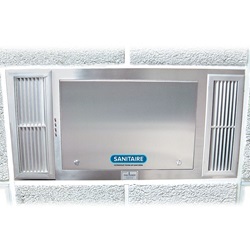 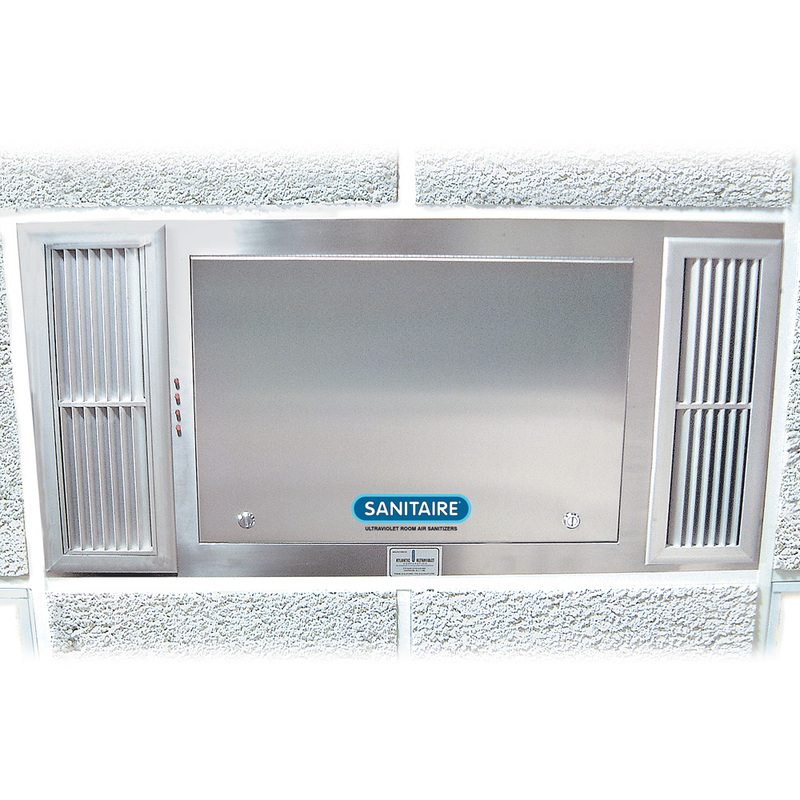 SANITAIRE® Room Air Sanitizers utilize STER-L-RAY® germicidal lamps which are completely enclosed within a stainless steel and reflective aluminum exposure chamber and are safe for use in most applications. The SANITAIRE® RSCS280 has been discontinued in favor of the newer SANITAIRE® RSCS280A. 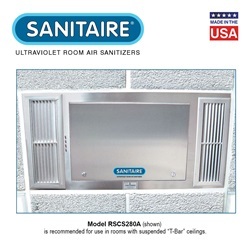 However, we still offer replacement lamps, parts, and accessories for SANITAIRE® RSCS280 models still in use. 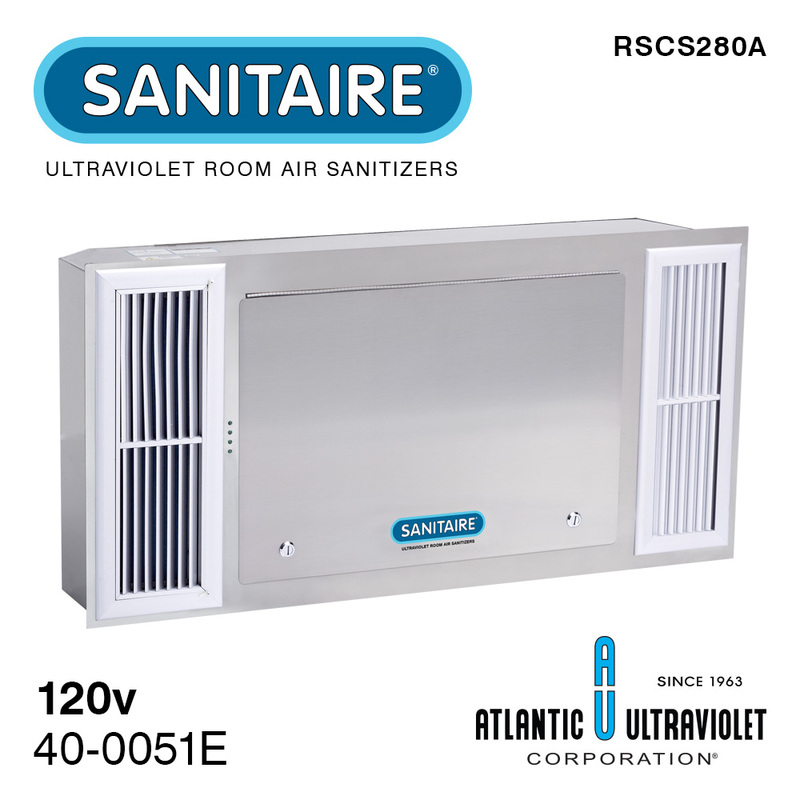 If you have any questions, please don’t hesitate to call and speak with one of our UV Application Specialists. 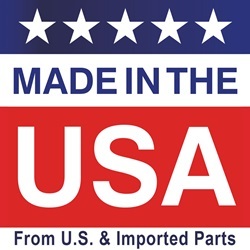 Items marked “Ready to Ship - In Stock!” are ready to ship as needed. 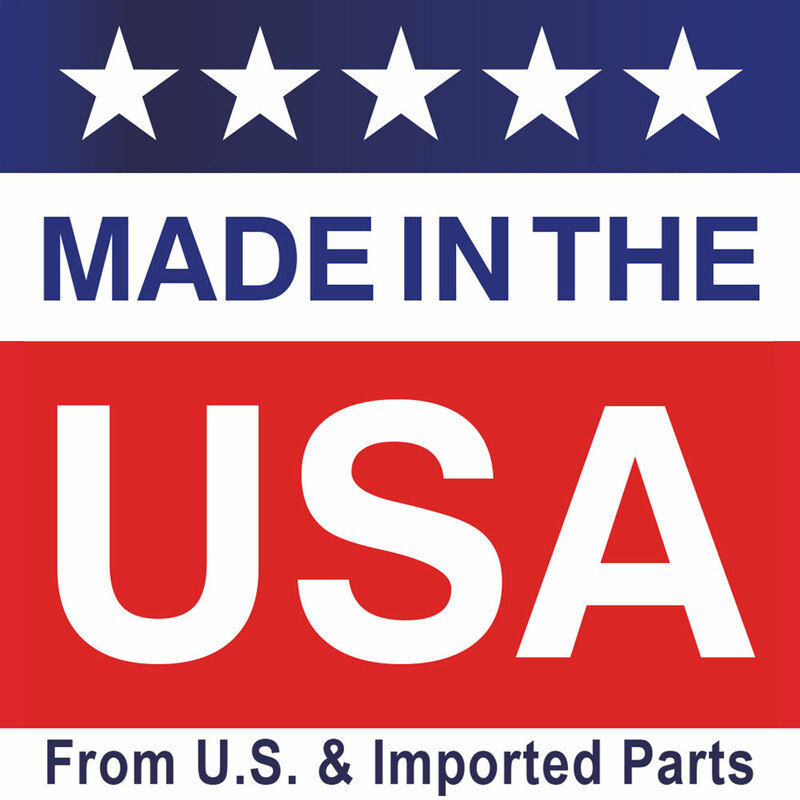 Items marked “Varied Ship Date - Contact Us” are in production and will ship in 2-3 business days. 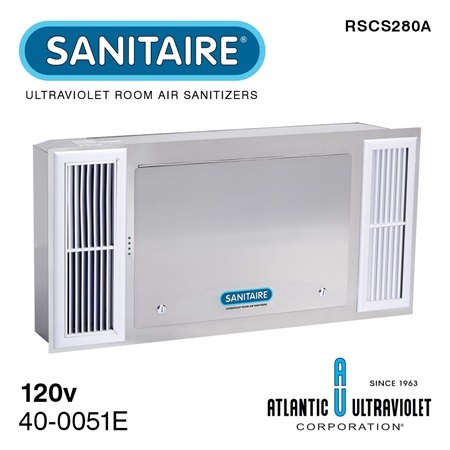 120 12,600 (1 Room Air Change/Hour), 4,200 (3 Room Air Changes/Hour), 2,100 (6 Room Air Changes/Hour) 4 9.4375" 46.625" 22.125"